A special thank-you goes out to all of the wonderful corporate volunteer-groups who have donated their time and hard-work at Wellspring centres during the summer. 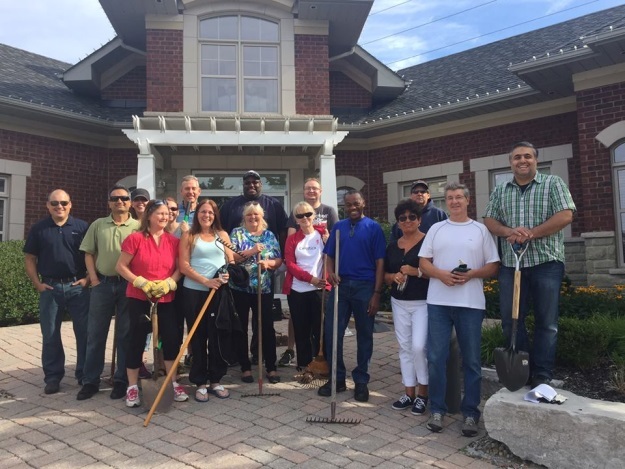 These amazing volunteers weren’t afraid to get down in the dirt or apply a little elbow-grease to help beautify Wellspring centres and brighten the day for Wellspring members and staff. Thanks to Celestica volunteers who helped beautify Wellspring Birmingham-Gilgan inside and out: washing windows, cleaning the gazebo and giving the outdoor shed a complete makeover. The team also helped prepare for our annual volunteer recognition event. The garden at Wellspring Chinguacousy received some sprucing up from a team of Celestica volunteers who spent the afternoon planting, weeding and laying down mulch. 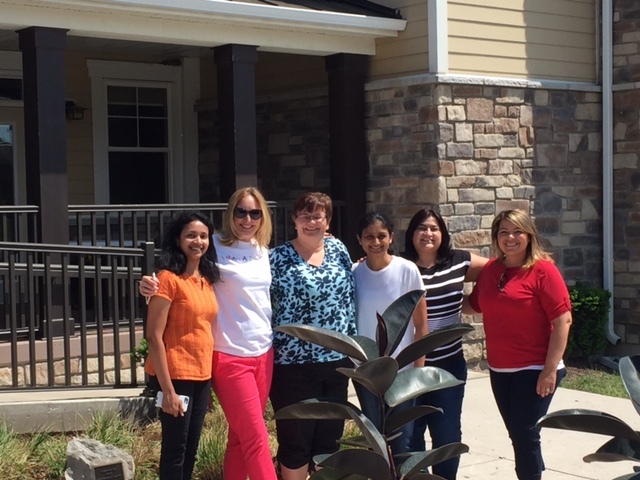 A group representing Genworth Canada helped prepare for this year’s Paeds & Parents Summer Carnival. The team decorated the centre, made up loot bags, set up a stuffed animal display, made up party posters, and prepared arts & crafts to bring smiles to the faces of children experiencing cancer and their families. The TELUS team lent their green thumbs to Wellspring Westerkirk House for the day, planting and weeding in the house garden. Thanks to their efforts, the Centre now boasts a flourishing herb garden that will provide healthy ingredients for upcoming Nourish and Cooking sessions. 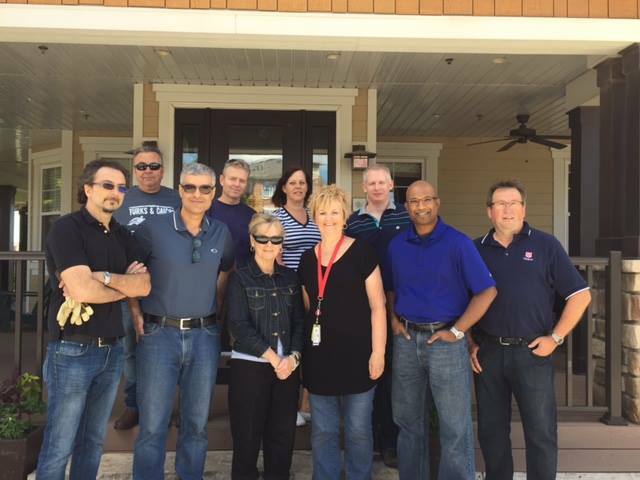 Another group from TELUS stopped by Wellspring Birmingham Gilgan House to make the place sparkle. From painting to pulling weeds, the crew pulled out all the stops to make the house look even more beautiful.